It can be tough for parents to watch their children struggle and not know how to help them. The Brain Balance Achievement Center of Palmdale has a plan for children with Asperger’s syndrome. Through the Brain Balance Program’s integrated approach,tens of thousands of children across the county have been able to overcome their academic, social and behavioral challenges, without the use of drugs. In order to help your child achieve their goals, The Brain Balance Program uses a combination of academic activities, sensory motor training, dietary guidelines, and exercises for children to use at-home. Our personalized assessment is the first step of The Brain Balance Program after enrollment. The results of your child’s assessment will be used by the Brain Balance Achievement Center of Palmdale to develop a personal plan that is customized to your child’s needs. 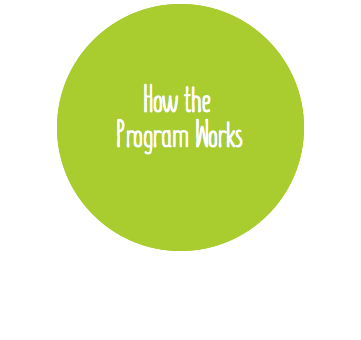 Each child’s program regimen is created specifically for that child and will target any deficits in functions or skills. Defined as a pervasive developmental disorder on the autism spectrum that is often described as high-functioning autism*, Asperger syndrome (AS) causes children to have difficulty with social interactions, exhibit a restricted range of interests and repetitive behaviors, and struggle with underdeveloped motor skills. However, while children with Asperger syndrome encounter many difficulties, they tend to have average to above-average IQs and well-developed vocabularies. These children may struggle with reading social cues, and not understand subtleties, such as irony, sarcasm, or humor; but according to the Autism Society, one of the major differences between Asperger syndrome and other autism spectrum disorders is there is no speech delay in Asperger’s. The Brain Balance Achievement Center of Palmdale has developed an Asperger syndrome program that can help your child overcome their social, academic, or behavioral obstacles. When your child is enrolled in The Brain Balance Program, we create a personalized plan for your child that is geared toward helping children overcome their individual challenges by uncovering the root of these issues. This plan can include up to 3 in-center visits per week in addition to at-home activities that will help your child reach their learning, social, and behavioral goals. Our Asperger syndrome program has helped several kids in the Palmdale area and thousands of children across the country. Learn how the Brain Balance Program has benefited children with Asperger syndrome by reading stories from parents whose children have gone through The Brain Balance Program. *It is important to speak directly with your Doctor concerning the presence or confirmation of any diagnosis of a spectrum disorder. If your child is showing signs of repetitive behavior, struggling to pay attention and having mood swings, reading body language and maintaining eye contact, we can help. Brain Balance Achievement Center of Palmdale can create a customized plan to help children with Asperger’s syndrome unlock their full potential. To learn more about how Brain Balance can help children with Asperger syndrome, call our center today at 661-434-4800.